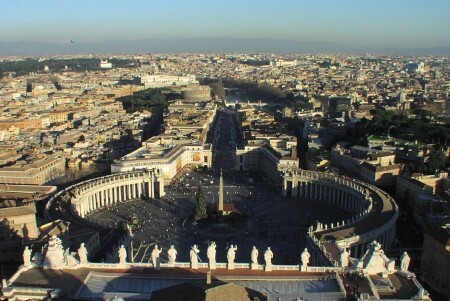 Why in the world is the Vatican searching for extraterrestrial life? Does the Catholic hierarchy know something about alien life that the rest of us do not? Why is the largest religious organization on the planet spending so much time and energy looking for “brother extraterrestrial”? Earlier this month, the Vatican Observatory cosponsored a major conference on extraterrestrial life that brought together 200 of the leading astrobiologists in the world. One of the organizers stated that one of the goals of the conference was to figure out “how we can find life among the stars within the next two decades“. Certainly it would not be unusual for a group of astronomers and astrobiologists to get together and discuss such things. But why is the Vatican seemingly obsessed with this stuff? As you will see below, there are some high profile Vatican astronomers that seem quite confident that “something” is out there. In fact, one has stated that once it is revealed, “everything we think we know” may have to “be thrown out”. JosÃ© Gabriel Funes, an Argentine Jesuit priest and astronomer, and the current director of the Vatican Observatory says there is no conflict between believing in God and in the possibility of extraterrestrial civilizations perhaps more evolved than humans. “In my opinion this possibility exists,” said the Reverend JosÃ© Gabriel Funes, current director of the Vatican Observatory and a scientific adviser to Pope Benedict XVI, referring to life on other planets. So Funes is actually suggesting that when we do encounter extraterrestrial beings, they may not have fallen into sin like humanity has. So if aliens showed up and wanted to show us a “new way”, would society be willing to accept it? So what would happen someday if “aliens” showed up and claimed that they seeded life on this planet, guided our evolution and are now here to lead us into a new golden age? And what would happen if the Catholic Church gave those aliens their stamp of approval? That sounds absolutely bizarre, but there are very important Vatican officials that are apparently thinking very hard about these things.